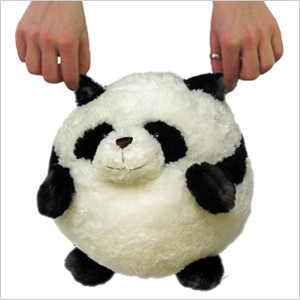 Mini Squishable Panda: An Adorable Fuzzy Plush to Snurfle and Squeeze! A metaphysical conundrum: Is a Giant Panda still giant when it is, in fact, a Mini Panda? Yes! Yes it is! Giant is a state of mind, not a measure of size! His cute is enormous! His adorability is huge! His awesome is the size of the US economy circa 2005! 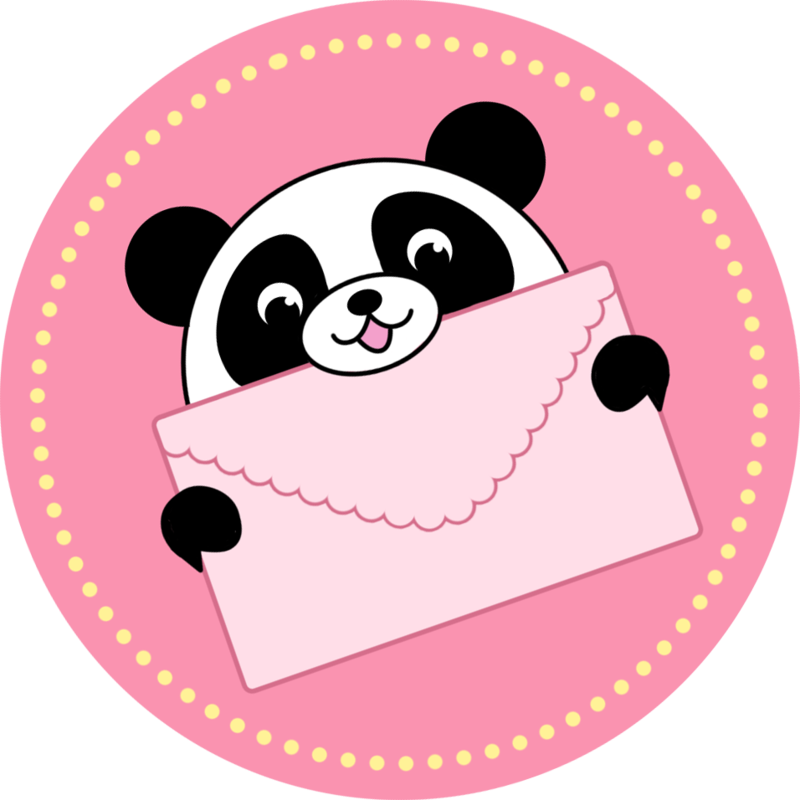 Truly, although in stature he is not as big as his Squishable Panda cousin he makes up for it in pure bite-sized fluffy Panda sweetness! Woogywoogywoogy! One day, my brother called me up to his room. He asked if I wanted a Squishable for Christmas. I couldn't believe it at first. But nope, he had the web page up and was scrolling through. I was thinking about a horse, but there were none left. So then he showed me a red dragon. Cute, but then I'd end up naming him Mushu (after Mulan's dragon) and that wouldn't be such a good idea. Finally, he showed me a panda. There was a purple one and a black-and-white one. Both were equally adorable, but I chose the black and white panda - in mini size, so it wouldn't take up the whole bed. My brother just shooed me out of the room. I had a feeling he was up to something. *** Christmas morning, 2014. Tiny came bouncing down the stairs with a box on his head. He placed it at my feet and looked at me with his big adorable smile. "OK, Tiny." I said. "I'll open it." I opened it... and immediately went SQUEE! It was the panda! I cuddled the little cutie for about five straight minutes. So after this display of sheer joy, I had to come up with a name. (I name all my stuffed animals.) I didn't know any Chinese names that would be easy to pronounce. Backup plan... "Her name is Laney!" I squealed. Best present EVER! To this day, Laney is still as soft and cuddly as she was on Christmas morning. Whenever I'm upset or lonely, Laney is always there with her adorable smile and a cuddle. Have to have all the pandas! I love pandas and squishable.com pandas are the best. So cute, he's great company for his big brother. Four years ago, when I was very sick, my friends wanted to get something to cheer me up. I came home to find my very own Amanda Panda (named for me) and Norbert the Narwhal. From that moment on, I was hooked on Squishable. I got a bunch of squishables for my friends for Valentine's day, and lucked out with getting to keep a Panda for myself. She's absolutely adorable and very fun to hug. She also doesn't seem to mind being used as a pillow, and is a super comfortable one. I may have to get the big version some day.